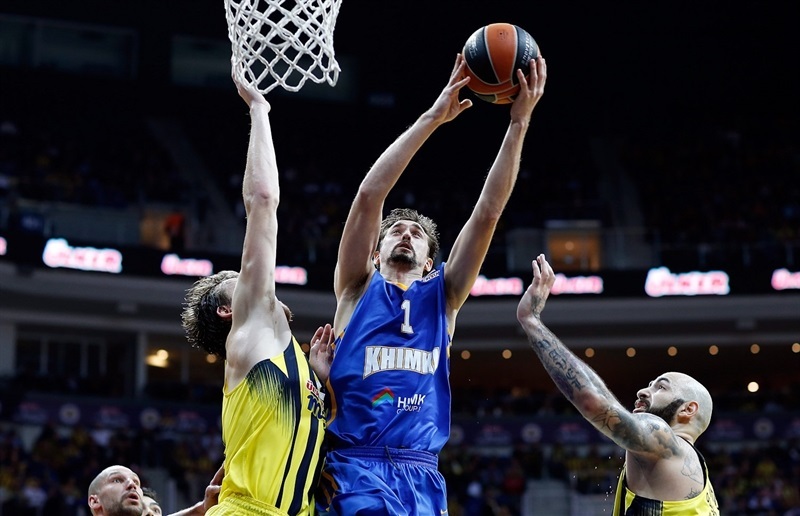 In an exciting showdown that literally went down to the wire in Group A, Fenerbahce Istanbul downed Khimki Moscow Region 88-83 in front of over 11,700 fans on Friday. Fenerbahce now leads Group A with a 4-1 record, with Khimki right behind at 3-2. Luigi Datome led the winners with 19 points. Bobby Dixon added 16, Jan Vesely had 15 and 9 rebounds while Kostas Sloukas had 14 on 12-of-13 free throw shooting for Fenerbahce. Alexey Shved led Khimki with 19 points. Paul Davis added 15, Zoran Dragic had 13 and Tyrese Rice 11 for the guests. Rice and Davis shined early to give Khimki a 0-9 lead. 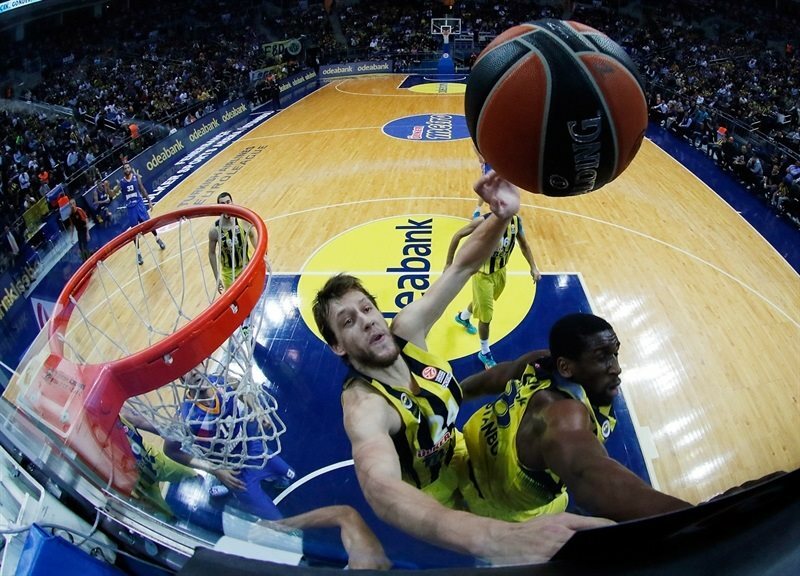 Dixon and Datome rescued Fenerbahce and an alley-oop slam by Vesely gave the hosts a 23-21 lead after 10 minutes. 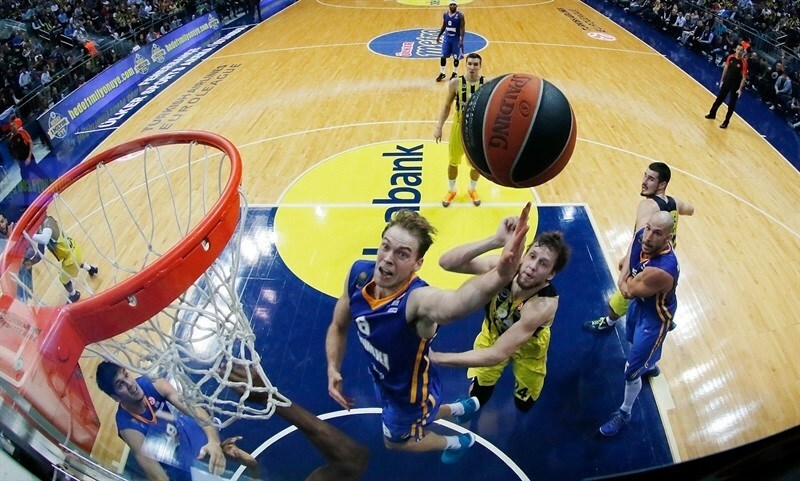 Dragic and Davis shined early in the second quarter as Khimki tied it at 38-38. 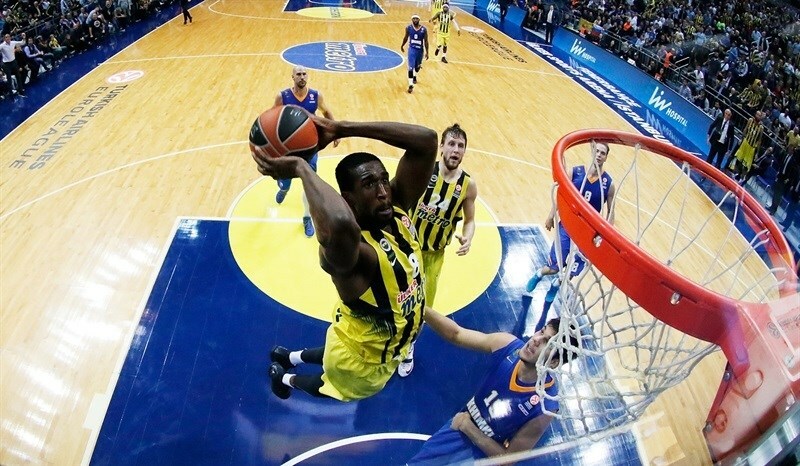 Dixon and Ekpe Udoh stepped up for Fenerbahce and helped the hosts to a 49-41 lead at halftime. A fast break layup by Sergey Monya kept Khimki within 61-59 late in the third quarter. A three-point play by Vesely seemed to seal the outcome, 77-70, but Shved, Davis and Dragic rallied Khimki to tie the game, 81-81, with 16 seconds left. 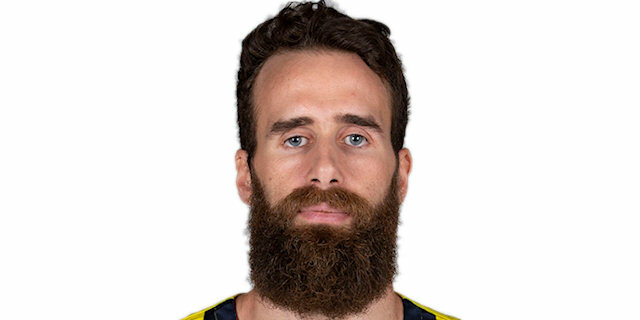 Sloukas, Bogdan Bogdanovic and Datome combined to make 7 of 8 free throws in crunch time to lead Fenerbahce to an important win. Both teams struggled to score early until Petteri Koponen buried a mid-range jumper off a screen. Tyrese Rice added a layup in transition. Rice took over with a wild driving layup and a three-point play by Paul Davis boosted the guests' lead to 0-9. Ekpe Udoh rescued Fenerbahce with a turnaround jumper and bettered Davis's basket with an outstanding dunk-and-foul to make it 5-11 score. 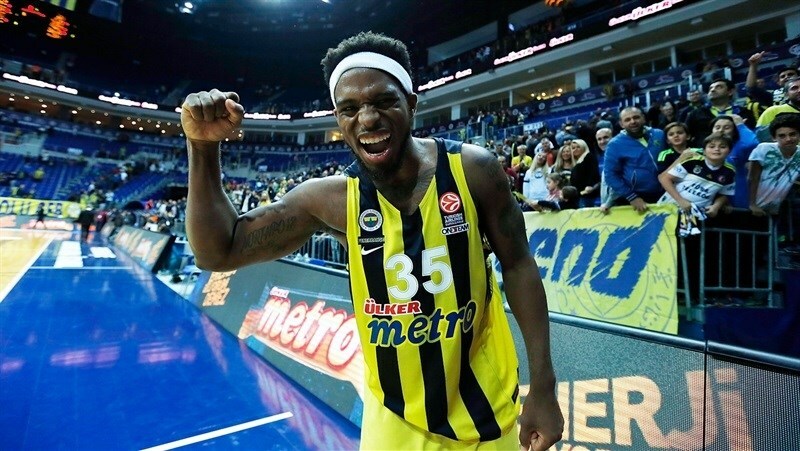 Bobby Dixon sank a three-pointer off the dribble, which Luigi Datome followed with free throws that kept Fenerbahce within 10-11. Davis kept pushing Khimki with free throws, which Rice followed with a one-handed running jumper for a 10-15 lead. Dixon buried another triple, but Marko Todorovic banked in a jump hook. Another one-handed floater by Rice restored a 13-19 Khimki lead. Datome followed a turnaround jumper with free throws and soon added an alley-oop layup to tie it at 19-19. Koponen swished a mid-range jumper, but Jan Vesely scored down low and added an alley-oop slam for a 23-21 Fenerbahce lead after 10 minutes. Zoran Dragic found his first points early in the quarter, but Vesely stepped up with an alley-oop layup. Dragic stayed on fire with a bomb from downtown, but Datome joined the three-point shootout for a 28-26 Fenerbahce lead. Kostas Sloukas fed Vesely for another alley-oop slam, which Davis matched with a backdoor layup. Sloukas hit his trademark five-meter jumper. Alexey Shved did better with a three-pointer. A layup by Vesely gave Fenerbahce a 34-31 lead. Shved and Dixon exchanged three-pointers and a layup by James Augustine kept Khimki within 37-36. 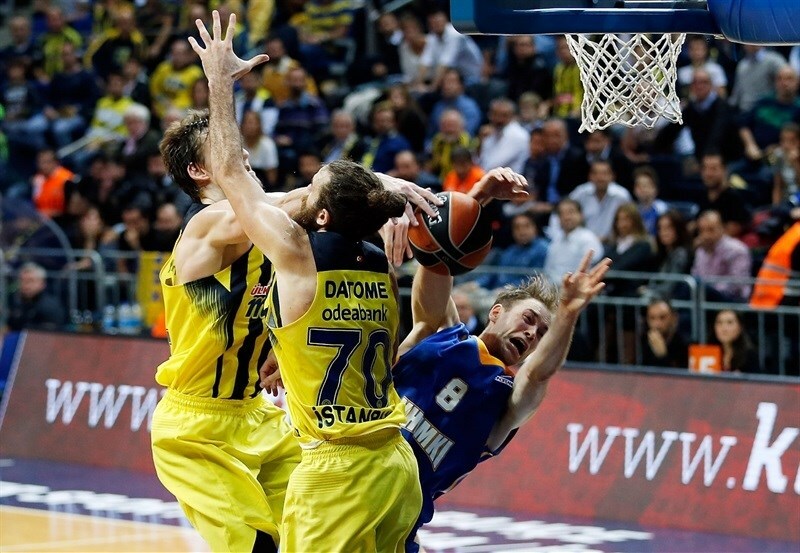 Dragic scored around the basket, but Nikola Kalinic and Dixon kept Fenerbahce ahead, 41-38. Davis buried a turnaround jumper before Udoh sank a mid-range shot. A floater by an unstoppable Dixon boosted Fenerbahce's lead to 45-40. Bogdan Bogdanovic hit a mid-range jumper and Udoh added a fast break slam for a 49-41 lead at halftime. Datome nailed a turnaround jumper soon after the break, as Khimki struggled to score. The guests were held scoreless for more than two minutes until Augustine stepped up with a tip-in. Egor Vyaltsev buried an off-balance three-pointer, but a red-hot Datome answered from downtown for a 54-46 Fenerbahce lead. Tyler Honeycutt took over with a put-back layup and a three-pointer which brought the guests within 3. 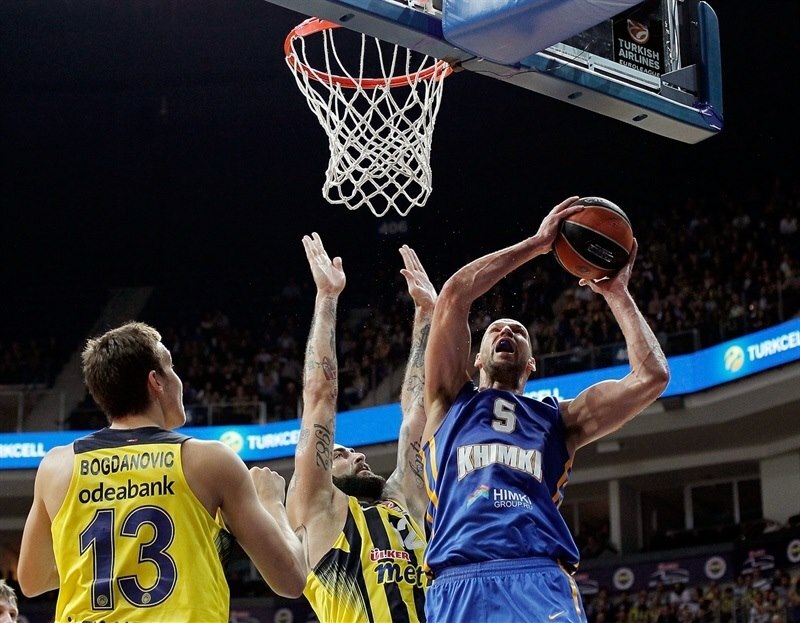 Khimki did not allow any open shots, as Fenerbahce tried a taller lineup with Datome and Kalinic at the wings. Dixon buried a step-back jumper, which Shved matched with free throws. Bogdanovic nailed a stop-and-pop jumper, as Khimki lacked ball circulation without Rice on the floor. Bogdanovic kept pacing the hosts with a free throw. Shved scored in penetration, but Sloukas gave Fenerbahce a 61-55 lead. Shved hit foul shots and a fast break layup by Sergey Monya made it a 2-point game. Sloukas and Kalinic made free throws for a 64-59 Fenerbahce advantage. Dragic sank foul shots early in the fourth quarter and a jumper by Monya made it a 1-point game. 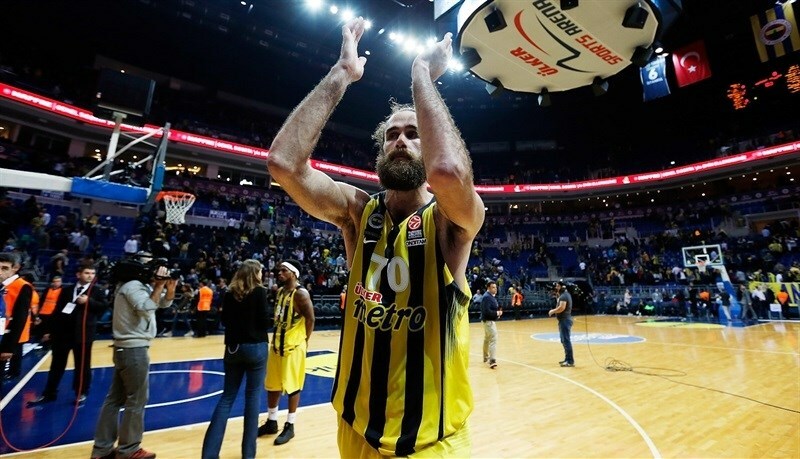 Fenerbahce was held scoreless for more than two minutes, but free throws by Sloukas gave the hosts much-needed fresh air at 66-63. Vesely came out of nowhere for a huge put-back slam in traffic, which Kalinic followed with a fast break layup to boost the hosts' lead to 70-64. Davis hit another turnaround jumper and added a jump hook that brought Khimki within 70-68 with over four minutes left. 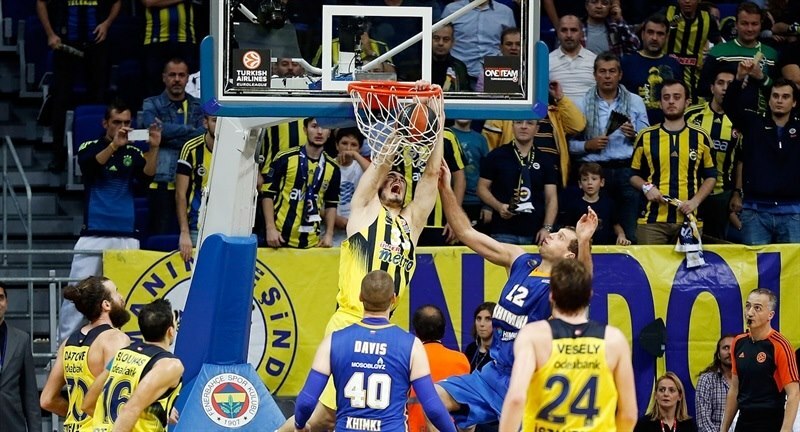 Datome hit free throws, Shved answered with an alley-oop layup and Sloukas gave Fenerbahce a 74-70 lead. Vesely took over with an off-balance three-point play and Sloukas made free throws, but Rice and Shved kept Khimki close at 79-75. Dragic split free throws and Koponen made both attempts for a 79-78 score. Shved missed the go-ahead shot and a wild alley-oop dunk by Kalinic ignited the crowd, 81-78, with 31 seconds left. Davis and Dragic missed free throws, but a key offensive rebound by Koponen allowed him to feed Dragic for a three-pointer which tied it at 81-81. Khimki fouled on Sloukas, who made free throws with 16 seconds left. Khimki did not inbound the ball because of a five-second violation. Datome and Bogdanovic sealed the outcome from the foul line. "Very tough and very emotional game and a very good game. I have some kind of experience and this was one of the really best games in one excellent basketball atmosphere. I want to thank the fans because this connection we have with them is something very, very important for us. We started the game bad, 10-0 for them,then we woke up and started to play very aggressive. 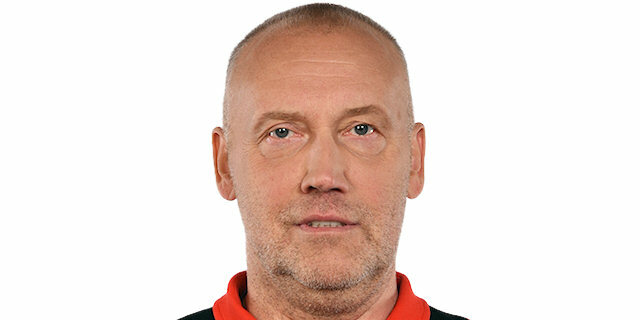 Also very good offensively, a lot of nice passes and solutions and result was that we shot in the first half 70% for two-pointers. We expected a reaction from Khimki in the second half. They are a really good team. They have a lot of very good players and they know how to play. It was also a good game in the second half, except at the end, maybe because some players were tired. They didn't move fast enough. And we come to the situation leading three points for us, but they take the offensive rebound and tie. This happens in basketball. Finally we come to last 10 seconds and we win the game by five points. Thanks one more time to my players for one really very good game." 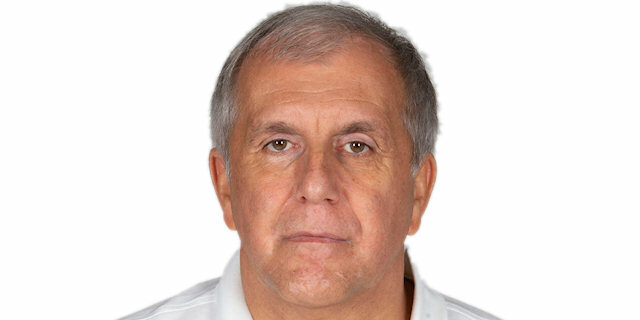 "First of all, I want to congratulate Fenerbahce and especially Zeljko Obradovic for the win and a good game. We didn't play bad, even when we didn't have a good three-point shooting percentage. We played with a lot of energy, had good effort and put our hearts on the court. Sometimes you need to be lucky in the final minutes. Fenerbahce scored 4 free throws in a row and we missed 4 free throw attempts in a row, and I think that was the key to this game." "They took some confidence with offensive rebounds in the second half. I felt so bad for the last offensive rebound which could have changed the game but luckily, I have good teammates and in the end of the game, we won the game."